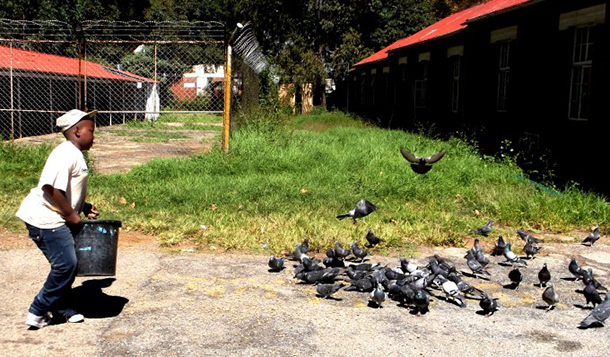 Community Led Animal Welfare (CLAW) in Johannesburg, South Africa has long been a safe haven for animals and people alike. But for Kganya Lephalletse,12, CLAW has been a place to escape when the realities of life are too hard to bear. Born with a physically impaired foot, Kganya is teased by other children at his school. They call him a sehole, a derogatory term for a disabled person in Sesotho. He says he does nothing about it other than telling his mother, a single parent. Kganya, an only child, puts on a brave face about the bullying, but those who know him know the taunts impact him deeply. Kganya started visiting CLAW when he was just four years old, and attending the annual Christmas parties they hold for the children in the communities they service. He started getting actively involved with the animals as a volunteer at CLAW between 2010 and 2011, and subsequently went on to join the CLAW Saturday Kids Club. The experience has led him to think about his future. “I want to be a vet,” he says. In honour of his commitment, compassion and hard work, an International Fund for Animal Welfare (IFAW) Animal Action Award has been awarded to Kganya. 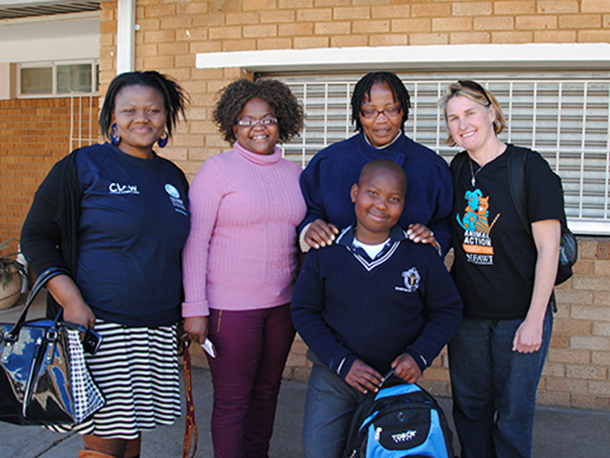 Last month, IFAW’s Melissa Tomlinson surprised Kganya at school to present him with his award, a new tog bag packed with IFAW goodies and stationery, handed to him in class in front of all his classmates. Kganya’s teacher was delighted that he received acknowledgement for his dedication to the animals in CLAW’s care and confirmed that if he is as committed to animals as he is to his schoolwork, then she is not surprised.